Fleur's is a unique floral cosmetic line. Many natural substances in flowers are extremely effective in cosmetics when transformed into extracts. Backed by expertise and modern extraction methods, Fleur's adds floral extracts to the heart of each of its skin care products. Our researchers select flowers from various horizons to offer a multitude of cosmetic actions. These flowers are then blended with extracts from the plant world for synergistic action. 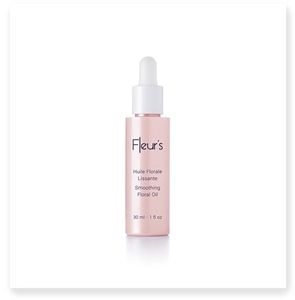 Fleur's Gentle Mask moisturizes and reinforces the skin while reducing discomfort sensations. It provides softness and suppleness while brightening the complexion. Ultra-absorbent and very light dry oil, velvety finish. Smoothing and firming properties.